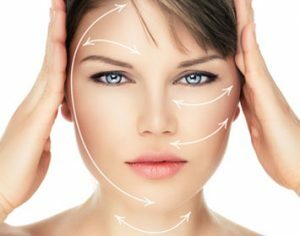 Anti-wrinkle injections is the most popular anti-ageing treatment across the world because it’s effective, quick, temporary, and usually settles very quickly. The treatment works by temporarily blocking the signals that tell specific facial muscles to interact, which helps to smooth out your overlying layer of skin & noticeably get rid of the expressive fine lines & wrinkles that might be ageing your facial area. Once the treatment has taken place, your skin will look smoother; wrinkle relaxing injections can also help to slow down the emergence of upcoming facial lines. Forehead: Heavy bows, vertical frown lines between your eyebrows, and horizontal worry lines. Chin: Dimpling in the chin. Lips: Fine upper lip lines, turned-down mouth corners/sad mouth. What’s the duration of the wrinkle relaxing process? The process usually takes up to 10 to 15 minutes. Having wrinkle reducing injections is a surprisingly comfortable procedure. If you are concerned about how the injections will feel we can provide an anaesthetic cream applied to your skin in order to numb your skin. Is one treatment enough to show results? The answer is ‘yes absolutely, although in the first year you might need to repeat it up to three to four times a year. Less frequent administration will be needed the following years’. How quickly should I see the results? It can take up to 10 days for your treatment with wrinkle reducing injections to take effect and for the results to be fully obvious. In the hands of an experienced medical professional, wrinkle reducing injections are incredibly safe and backed by years of proven use and clinical studies. However, it is important to be aware of the potential side effects (see below), which we will discuss in detail with you during your initial consultation. We only ever deliver injections from a single-use vial using single-use needles to ensure that you receive treatment with a product that is fresh, undiluted and free from risk of contamination. Common side effects of the wrinkle reducing injection are a small amount of temporary bleeding, or mild swelling at the injection area. Some people do bruise, especially if they have a treatment near their eye area, which is more delicate. However, this bruising usually subsides quickly and can be covered easily with make-up. You may also experience a mild headache after your treatment. In rarer cases worldwide, people have reported double vision, and occasionally there have been cases where – after a forehead treatment – people have experienced drooping of the upper eyelid. In experienced hands, this happens in less than one percent of patients and will usually resolve within 2 – 10 weeks. Eye drops are available which can be purchased from your local pharmacy, but we haven’t had to deal with this issue at HSA Dermal Clinic. It is therefore very important to seek a professional well trained and experienced Aesthetic practitioner. At HSA Dermal Clinic we have not faced such a situation. Is there anything I should do/not do after wrinkle reducing injections? When you come in to HSA Dermal Clinic; Aesthetics for wrinkle reducing injections, we will give you detailed aftercare instructions. It’s important that you follow our recommendations to enjoy the full benefit of your treatment. Can anyone administer wrinkle reducing injections? Botox is a prescription only medicine (POM) so would require a qualified prescriber to authorise it such as doctors, dentists, independent pharmacist prescriber and independent nurse prescriber. Administering it would need a qualified aesthetic practitioner with the necessary training background. At HSA Dermal clinic you will be seen by Hala Allawi, a qualified independent pharmacist prescriber and an experienced Aesthetic Practitioner. Which wrinkle reducing products do you use at HSA Dermal Clinic? Here at HSA Dermal Clinic we use the world’s leading products & brands. Please check our homepage for brands.